Résumés and cover letters may have existed for hundreds of years, but some job seekers and experts believe their time may be coming to an end due to the advent of social media. Employers and recruiters may not stop reading résumés in the immediate future, but it is clear to most of us they are reading social media as well. Leonardo Da Vinci is thought to have written the World’s first résumé when he moved to a new city and sought work from a local nobleman. Less than ten years ago, a site called LinkedIn revolutionized recruiting and job search by providing a way for recruiters, hiring managers, and co-workers to communicate with each other online. Some job-seekers and employers use LinkedIn like a job board. Job-seekers post their résumés and employers post their job openings, but LinkedIn offers a lot more. We’ll start with an overview of some LinkedIn basics. Your LinkedIn Profile is not a Résumé. The first thing most of us do when we create our LinkedIn account is to paste the corresponding parts of our résumé into the matching dialog boxes of the LinkedIn profile page. This is, in my opinion, a “quick and dirty” strategy to rapidly post a LinkedIn profile, but you should consider replacing this text with some more sophisticated social media writing as soon as possible. You can then upload your traditional paper résumé to your profile as a document, if you still feel the résumé adds value to your profile. Social media writing is more informal than traditional résumé writing. We are not bound by the traditional one or two page limit on text because we are not creating a paper document. It is okay to use personal pronouns—something we traditionally avoid in résumé writing. Our picture may appear on our LinkedIn profile. Again, we avoid using photos on traditional résumés. Another key difference between your LinkedIn profile and your résumé is that you can upload media. For example, I have uploaded presentations I’ve made at networking meetings, and included a link to a published report I co-authored some years ago. Your LinkedIn profile, then, will serve as your online portfolio rather than an online version of your résumé. LinkedIn would be a powerful job search tool if it only offered us online portfolios. But wait, there’s more! The most well-known feature is probably the ability to make connections with others on the site. We can exchange messages with those we connect to, and allow them to see our updates and posts, much like we do on other social media sites. It’s easy to build up a long list of essentially meaningless connections. LinkedIn will recommend many, many people for you to connect to, but you may not want to connect with all of them. Think of the reason you want to connect with someone before you click connect. Write them a short note about why you want to connect, rather than using LinkedIn’s default text. It is probably not worth connecting with someone if there is nothing you want to say to them. Participate Actively in Relevant LinkedIn Groups. Yet another valuable feature of LinkedIn is that there are thousands of professional groups or forums we can participate in online. There are almost certainly one or more groups related to your occupation or profession where you can post articles, ask, or answer relevant questions. I participate in groups related to résumé writing and workforce development. My comments have led to job interviews and freelance assignments. Jobs are Posted on LinkedIn. A job candidate I’ve worked with made an excellent suggestion—search daily for jobs in your desired geographic area without filtering by job title or keywords. You will not be overwhelmed by results if you do the search every day. More importantly, you will not miss job leads that do not exactly match your job title or keywords. For example, “Locomotive Engineer,” and “Train Operator” could be very similar jobs, but a search for one would not yield results for the other title. Some job candidates feel they are doing their essential networking by joining LinkedIn, posting a profile and making connections. Job search networking, though, is an activity that predates LinkedIn by more than 100 years. Business people know that the most powerful connections are those they make by meeting potential customers, suppliers, and employees in person, so they can benefit from the full range of interaction and body language. LinkedIn connections you have not met in person do not have that level of interaction with you, so some business people would question whether they are really connections. It’s better than no contact at all when your LinkedIn connection is thousands of miles away. LinkedIn is a small part of your networking strategy. It should not represent the major part of your networking effort. You can build an online network to supplement your in-person network. We will talk about each aspect of LinkedIn in more detail during the coming weeks. 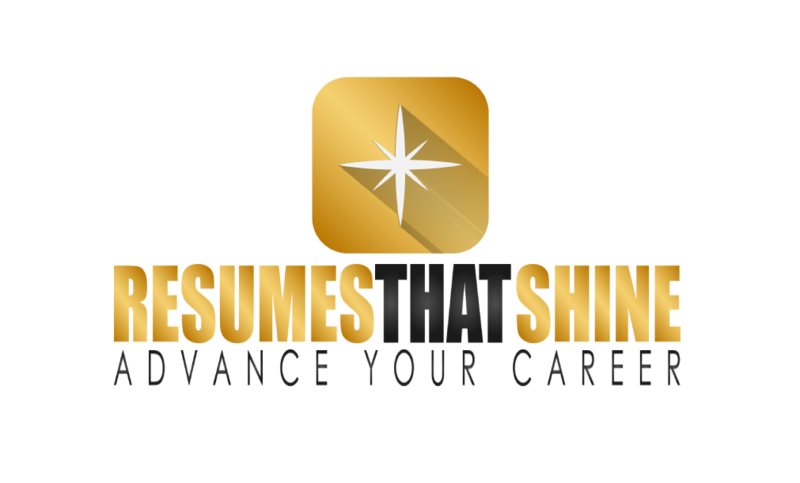 Please send us your questions and comments here or on our Résumés that Shine Facebook page. 2 Responses to 4 Ways LinkedIn Can Improve Your Job Search. Okay, I see it, Annie. Thanks!